Item # 308131 Stash Points: 3,595 (?) This is the number of points you get in The Zumiez Stash for purchasing this item. Stash points are redeemable for exclusive rewards only available to Zumiez Stash members. To redeem your points check out the rewards catalog on thestash.zumiez.com. 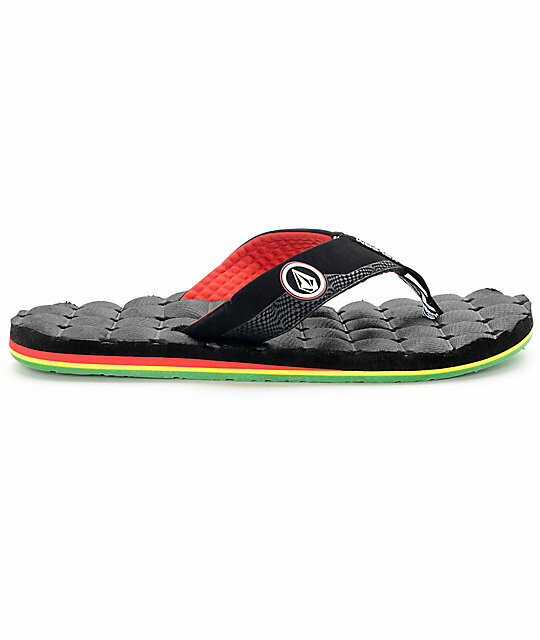 Be ready for warmer weather with the Recliner Jah black, white, red and green sandals from Volcom. 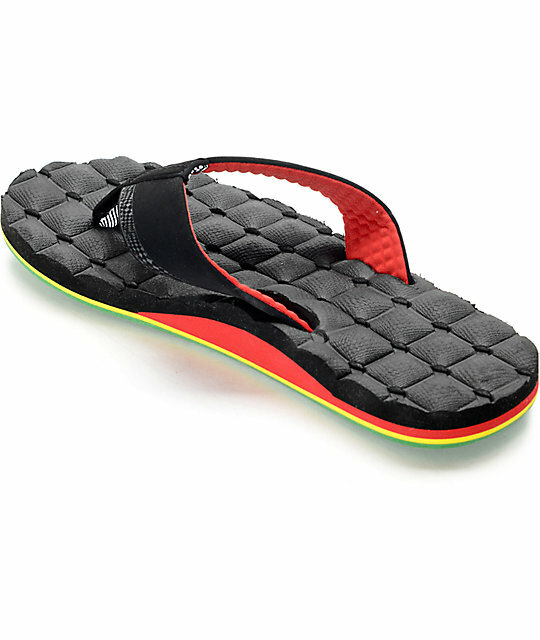 Designed for comfort, these rasta-colored sandals features a special Recliner Comfort Foam molded footbed that offers a plush feel. 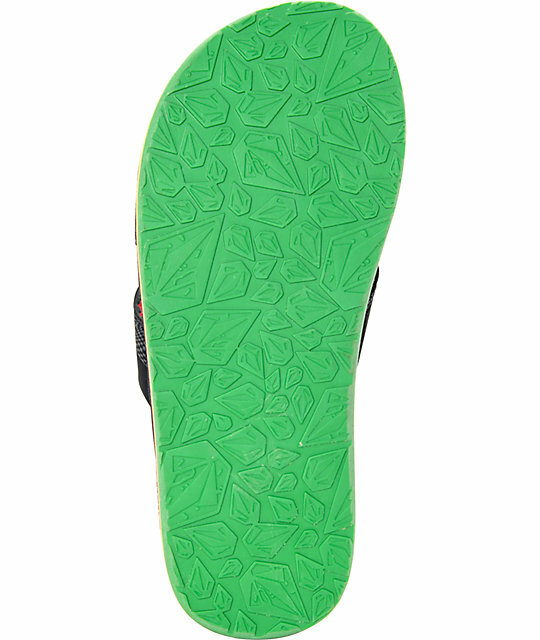 The woven upper is finished with white Volcom logo detailing for an iconic surf look. 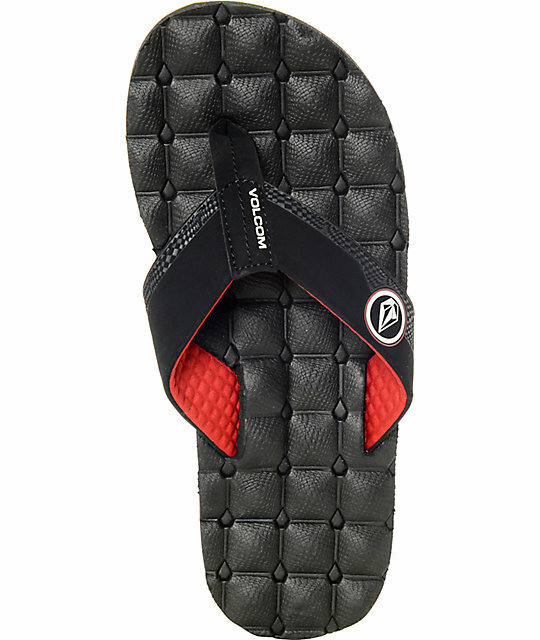 Recliner Jah Sandals from Volcom. Recliner Comfort Foam molded footbed. 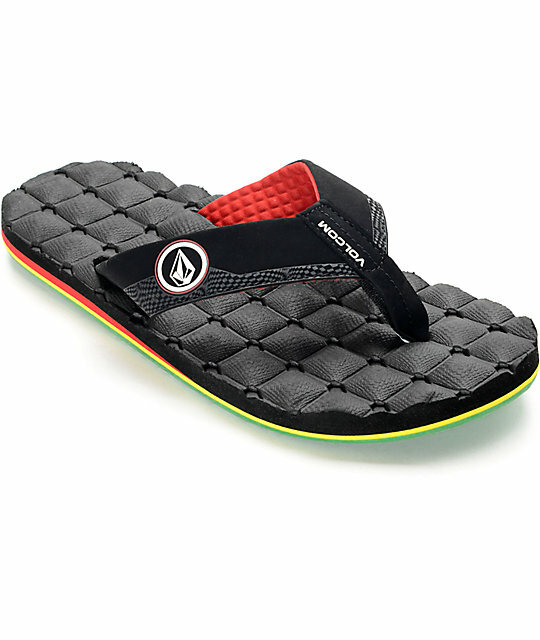 Textile upper adorned with Volcom logo detailing. Bunch O Stones tread pattern for traction.